Evil has awoken in Asheville, North Carolina, and Terra Rowan must prepare the Ladies of the Biltmore Society for battle. 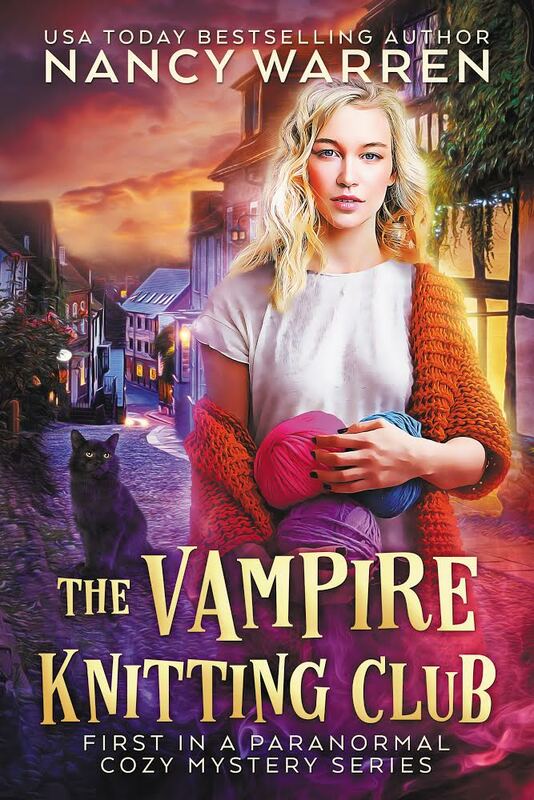 With her familiar, Pixel, a crooked leg fluffy orange cat, and her apprentice Abigail Oakhaven, a stubborn teenage girl with a bloodline dating back to the beginning of time, she begins their journey. The witch hunters have come to the Appalachian Mountains in search of the last witch of Salem. The magic of the mountains can no longer protect her and her coven. She must travel to the one place on earth that holds the secret to save mankind — Dark Corner. Combining elements from different cultures, Appalachian folklore, Celtic legends, Native American mysticism, Dark Corner continues its new witch mythology while staying true to the realm of cozy mystery. Terra Rowan is a witch trapped between worlds and lost in time. Convinced his sister is in mortal danger, this amateur sleuth follows clues to an oddball array of suspects. Armed with nothing but an eye for detail and powers of self-delusion, Marty tangles with gangsters, a cantankerous school secretary, and a perplexing woman he can’t help but fall for. Glitches in his investigation seem like a piece of cake compared to dinner-prep and bedtime stories with his two precocious, preteen nieces. As the new music box store owner and resident of Keepsake Cove, a quaint town full of collectible shops on Maryland's Eastern Shore, Callie Reed is eager to get more involved in her community. 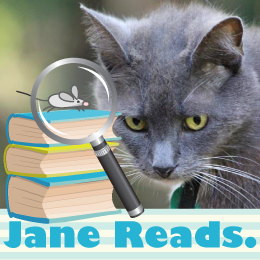 She volunteers to plan the Fall street decorations and welcome a visiting author who's come for a special book signing. But the celebratory mood is cut short when the local B&B owner is found dead, killed by a pair of vintage scissors. Suspicion is cast on the victim's estranged wife, Dorothy, who owns Keepsake Cove's vintage sewing shop. Callie is sure Dorothy is innocent, and the visiting author agrees. Together, they begin their own investigation, only to discover that many people in Keepsake Cove have secrets. Secrets that are worth killing to keep quiet. Gia has become good friends with Trevor, a fun, flirtatious bachelor who owns the ice cream parlor down the street from her popular All-Day Breakfast Café. Trevor has the scoop on all sorts of local attractions and activities. But when he bursts into her diner, trembling and paler than a pint of French Vanilla, she can tell something's very wrong. Trevor points her toward his shop then passes out cold. When Gia runs down to his shop, she discovers a chilling sight — a dead body in the open freezer. But the ice cream man's troubles are just beginning. The police suspect him of this murder a la mode, especially when details of his questionable past surface. Gia believes in her friend and is determined to clear his name and find the real cold-blooded killer before someone else gets put on ice . . . Determined to solve Sarah’s murder, Gilda launches her own investigation and uncovers shocking revelations that could put several lives — including her own — in danger. Can Gilda and the psychic solve this case before the killer strikes again? 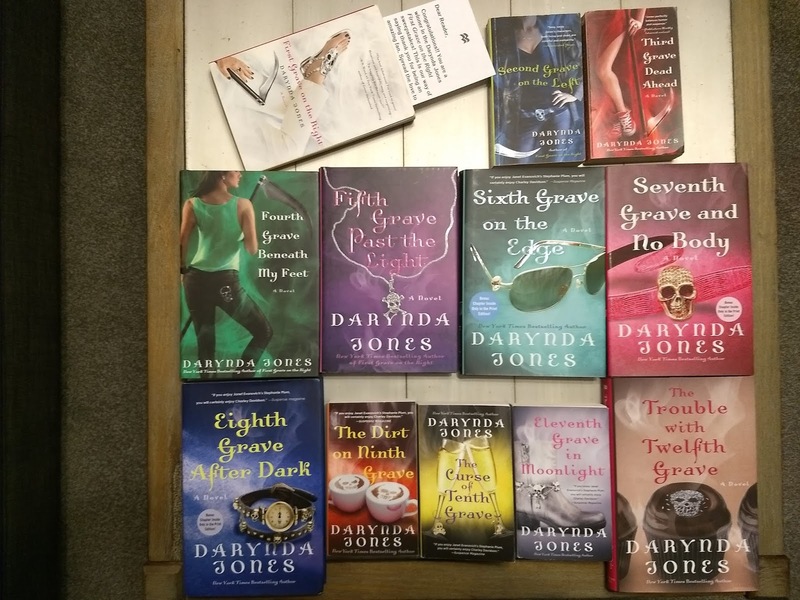 So when I was invited to an exclusive blog tour to celebrate the upcoming and final novel in Darynda Jones’ beloved Charley Davidson series, Summoned to Thirteenth Grave, I was thrilled to accept! Charley Davidson, Grim Reaper extraordinaire, is pissed. She’s been kicked off the earthly plane for eternity — which is exactly the amount of time it takes to make a person stark, raving mad. But someone’s looking out for her, and she’s allowed to return after a mere hundred years in exile. Is it too much to hope for that not much has changed? Apparently it is. Bummer.